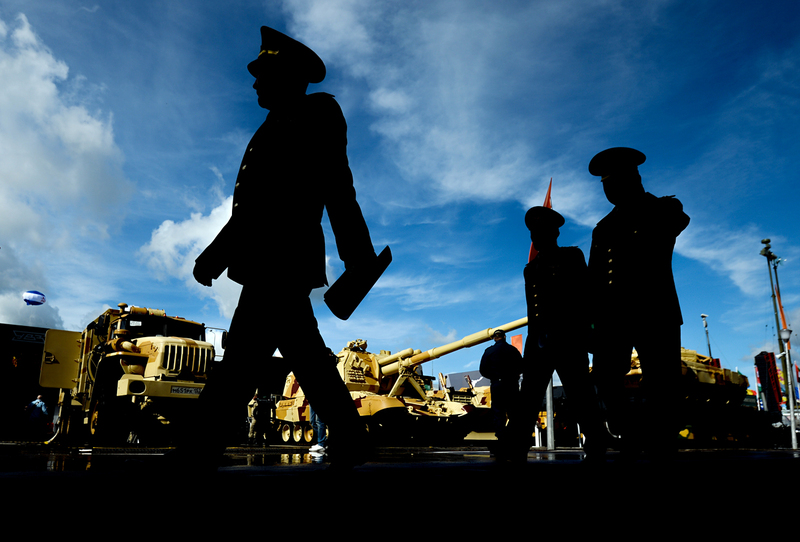 The government has slowed down on financing reforms and acquisitions in the defence industry. These are not being done at the earlier level because of lower oil prices. The Russian government has decided to cut defence spending by 1,000 billion rubles ($15.89 billion), or approximately 30 percent, the draft federal budget indicates. The figures became apparent from the draft budget the government submitted to the State Duma at the end of October, the business daily Kommersant reported. Expenditure on national defence is envisaged at 2,840 billion rubles ($45.15 billion), or 3.3 percent of GDP in the federal budget for 2017. “When revenues are falling, the work of reaching a compromise between different recipients of the budget pie fades into the background. What matters is to ensure, albeit on a reduced scale, the operation of the national economy and the state in all the key areas,” said Alexei Kalachev, an analyst with Finam. With oil prices falling, he continued, it would have been strange to continue increasing military spending while welfare spending is reduced. That is why the share of military spending is gradually going down. In the projected spending on defence in 2018, for instance, expenditure will amount to 3 percent of GDP, while in 2019 it will further drop to 2.8 percent. The government’s decision to cut the defence budget is largely driven by the example of the final years of the Soviet Union which – despite falling oil prices – continued to boost military spending, thus sinking into a deep crisis that ultimately led to the break-up of the country. “The main lesson in budget planning to be learnt from the budget of the final years of the USSR is the danger of excessive military spending,” said Sergei Khestanov, a macroeconomics adviser to the head of the Otkrytie Broker financial company. He believes that is the reason why the government has decided to cut defence spending by a third, despite the fact that the reduction would come as a blow to many defence industry enterprises. The draft budget envisages a spending cut not only on defence. Practically all budgeted items will be cut back, but it is in defence that the cut is the biggest. “The only exception is a sharp rise in the 2017 spending on social policy, which has to do with the presidential election cycle. Before elections, butter is far more important than guns,” Kalachev pointed out. At the same time, starting from 2017, the spend on servicing the sovereign debt will see a scheduled boost. By that time, the repository of Russia’s oil-generated super-profits, the Reserve Fund, will be fully exhausted on covering the budget deficit, after which the main source of plugging the budget holes will see increased borrowing. The amount of the budget deficit depends primarily on the oil price. The government plans to keep it at 3 percent of GDP in 2016. “At the moment, the draft budget for the next year is based on quite conservative estimates as regards the oil price, which necessitates a considerable reduction in spending,” explained Mikhail Poddubsky, an analyst with ТeleTrade. Furthermore, he predicts, it is likely that, in future, spending will have to be cut even further. Given the shortage of public funds, the government has already given up plans to launch several new major projects. Among other things, it has even reduced the funding allocated for the revamp of the country’s main railway lines linking Europe and the Far East: the Trans-Siberian Railway and the Baikal-Amur Mainline. Overall, budget expenditure is planned to be cut from 19.8 percent of GDP in 2016 to 16.2 percent in 2019. Under its long-term plan, the Russian Finance Ministry plans to reduce public spending to 13.1 percent of GDP by 2034.